After more than 30 years with the International Women’s Writing Guild (IWWG), from its kernel of inception in 1976, to serving as a founding Board member, I decided—not without shared reluctance—it was time for me to move on. I leave, however, with the proud title of First Vice President Emerita, the honorific symbolizing my unshakable connection with the Guild. 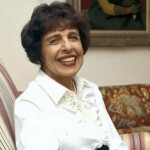 I’ve been privileged to serve this unique organization, devoted to “all women connected to the written word,” conceived and directed by IWWG Founder Hannelore Hahn. Her daughter, Elizabeth Julia Stoumen, now serves as Associate Director. Next month, April 16-17, the renowned “Big Apple Conference” takes place: April 16, a memoir-writing workshop with Susan Tiberghien; April 17, “Meet the Authors/Meet the Agents,” at the National Arts Club, Manhattan, NY. BTW, the food (lunch, in this case), is delicious! New York winter—and the season throughout most of the country–has been capricious and often merciless. While the Egyptian Revolution seemed (at least temporarily), to be a largely peaceable triumph, the latest news from Japan continues to be dire. Our hearts—along with real assistance–go out to the country’s entire population in their current suffering and uncertain future.